A sophisticated data base for mapping your entire conveyor system. The CII Roll App maps your entire conveyor system for condition monitoring of all components, and production analysis. 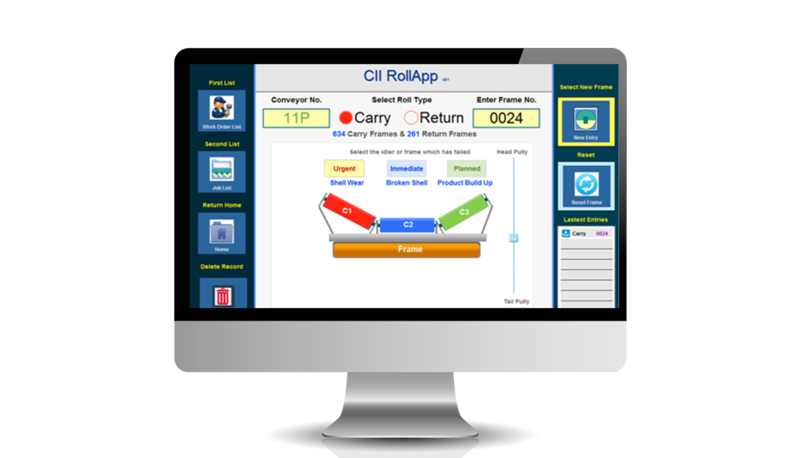 CII Roll-App is the new smart app to record Maintenance Activity – failure to components, change-outs and then generates emails to prioritise maintenance. 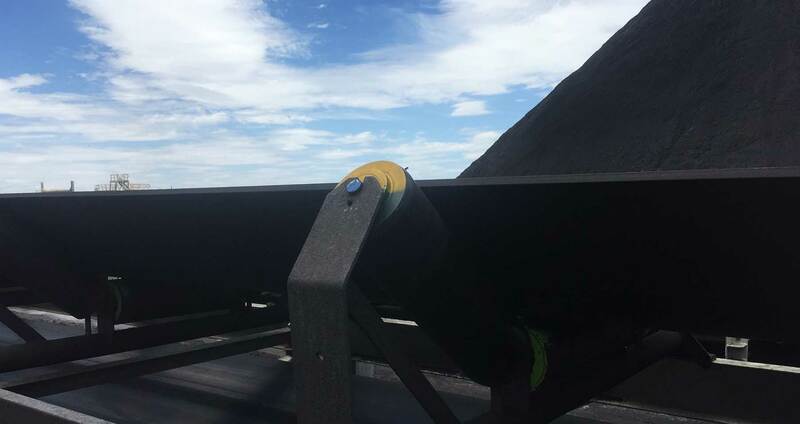 Records daily inspections and then generates a work order for each conveyor. The data is entered during inspection and then emailed to the site office, stores and planning. Data is emailed through as an excel spreadsheet, recording the failed rollers by type and SAP number. It’s never been so efficient and easy, saving you valuable time. CII Roll-App is an Asset Management Initiative providing the complete condition monitoring database. Most importantly it assists to reduce maintenance costs. Condition monitoring database for asset management. Provision of accurate, permanent data for informed decision making. A data base for mapping of the entire conveyor system for condition monitoring of components, including rolls. Photographs, videos and notes can be recorded in the event of failure to components, change outs etc, recording all information and generating emails to prioritise maintenance. The Roll-App is the forerunner to a RFID tag for each roll, enabling predictive maintenance through real time monitoring of roll performance. The essential smart-app for accurate reporting. A team of experienced and highly qualified technical people to provide solutions support, including the redesign of conveyor systems, upgrade projects, product support and advice. Eliminates the need to weld ends of the roller + double angle contact bearings, or double roller tapered bearings. Gen 7 Rollers out-perform conventional rollers. Engineered for reliability, greater load-bearing capacity _ a longer life span than conventional rollers. Specialises in the design, manufacture and supply of Conveyor Idler Rollers and Conveyor Monitoring Smart-Apps. CII’s products are “game changing” and “disruptive technology”. The CII idler roller is designed to overcome traditional performance issues relating to bearing failure, roll balance, shell materials for reliable performance.